It’s Monday, which means a new episode of the podcast! 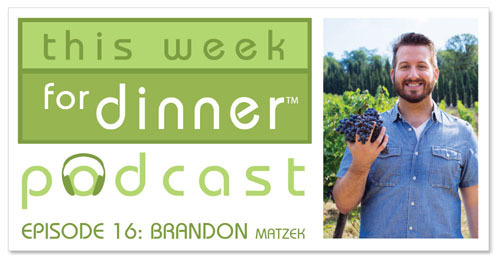 Today’s guest is Brandon Matzek, food blogger at Kitchen Konfidence. Brandon is a food explorer, recipe curator, cocktail shaker and dessert lover. He maintains is beeeeeeautiful food blog in addition to a full time job, an impressive feat! Brandon is such a nice guy who really loves food and sharing it with others. His podcast episode is no exception, filled with all kinds of deliciousness.